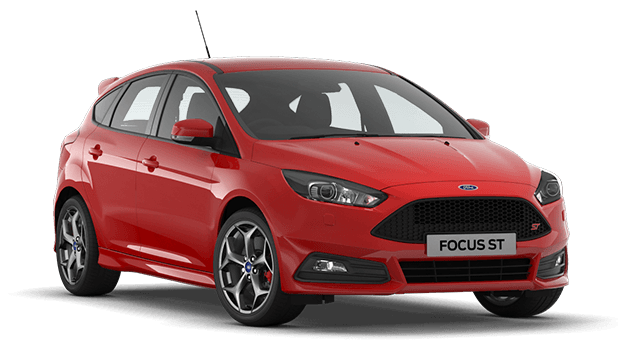 Steeda's Street/Competition intercooler for the Focus ST is an efficient bar and plate design with fully cast low turbulence end tanks to keep pressure drop to a minimum. The bolt-in design does not require any major modifications for installation. 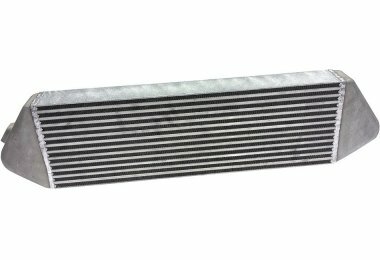 The best part about the Steeda intercooler is the large 27.5" x 8.50" x 3.5" core. At this enormous size you get twice the volume of the stock intercooler, and it only weighs 21 pounds! A larger, more efficient intercooler will reduce air charge temperatures over the stock intercooler preventing the power loss that occurs from air charge temperature increase, maintaining higher, more consistent power levels. This intercooler is good for up to 600 HP. A great intercooler upgrade for street and competition use! Installation Instructions: You can download the Steeda Focus ST Intercooler Installation Instructions by, Clicking Here. Rated at up to 600 horsepower!